Problems involving your taxes won't go away on their own. If you owe back taxes or are in a dispute with the IRS, turn to Northern Massachusetts CPA firm Turner & Costa, P.C. for help. We have extensive experience in helping both businesses and individuals resolve tax problems quickly and fairly. We'll begin by thoroughly reviewing your situation and assessing the options that might be available to you. Then we'll contact the IRS and work with them on your behalf until we reach a resolution. And if your problem involves state or local tax authorities, we can help with that too. Our expertise extends to every area of IRS problem resolution. When you're facing an audit or other IRS problems, the worst possible response is to ignore the situation. Turner & Costa, P.C. is among the most experienced Northern Massachusetts CPA firms at unraveling complex tax issues and working with federal, state and local tax officials on your behalf to achieve a fair resolution. You don't have to go it alone. Call 978-692-3291 or request a consultation today and let us help solve your tax problems. We'll start by analyzing your situation and identifying your options. Then we'll help you complete and file your back tax returns. 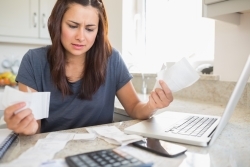 We'll do everything in our power to minimize your back debt and any penalties incurred by your failure to file. If you've failed to file a return or pay back taxes, the IRS has many options for collecting the debt, including placing a lien on your home, car or other property. Turner & Costa, P.C. will negotiate directly with the IRS to resolve the issue as quickly as possible and avoid further action, including having your property seized. If you owe back taxes, the IRS can legally collect a portion of your wages directly from your employer in order to satisfy the debt. We will work with the IRS to develop an arrangement to settle the debt and end your wage garnishment. An offer in compromise is an agreement enabling a business or individual to settle a tax debt for less than the full amount owed. If you qualify, we will work with the IRS to negotiate an agreement for the lowest possible settlement. An installment agreement enables someone who can't afford a large lump sum to pay off a tax debt in smaller increments. We can help you negotiate a plan that will meet your budget. Currently-not-collectible status means that the IRS has removed your account from active collection efforts. We can help you determine whether you meet the qualification guidelines and if possible, have your account declared non-collectible. Penalty and interest amounts for back taxes are often negotiable. Our experienced tax professionals will do everything possible to reduce your obligation. A notice that your tax returns are being audited doesn't have to be cause for concern. Turner & Costa, P.C. will review your records and represent you throughout the audit process. Call Turner & Costa, P.C. at 978-692-3291 today for a free, confidential consultation. The sooner you take action, the sooner you can put your tax problems behind you.